March Madness got a little bigger and sharper this year, and this year’s Men’s Basketball Final Four now holds the distinction of being the first major U.S. sporting event recorded in 4K Ultra HD resolution, as part of a partnership between LG, the NCAA, CBS Sports and Turner Sports. The project involved capturing the action on the court in 4K (Ultra HD) and displaying highlights on LG’s 84-inch 4K Ultra HD TVs at private viewing spots inside the Georgia Dome in Atlanta. The move follows LG’s launch of the first Ultra HD TV in the U.S. last fall, adding to the company’s narrative of live sports being all the more lifelike on such a large and sharp display. “The NCAA Men’s Final Four is one of the most captivating events of the year, and we want to continue exploring ways to enhance the experience for our fans. Thanks to LG, Turner Sports and CBS Sports, we’re seeing how Ultra HD has the potential to transform and elevate the television viewing experience for college sports fans,” said Keith Martin, managing director of championships marketing and broadcast alliances, NCAA. 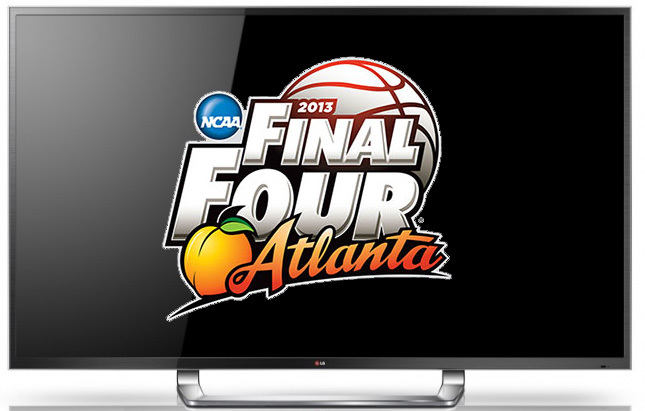 CBS also broadcast the Final Four in HD for the first time back in 1999, continuing a practice of putting the popular tournament front and center for new TV display technology. “March Madness is always filled with big moments, and this demonstration shows how Ultra HD TV can ultimately become the future of sports broadcasting and enhance the viewer’s experience,” said Ken Aagaard, executive vice president, operations, engineering and broadcast services, CBS Sports. Ultra HD, or 4K as it’s sometimes referred to, is four times the resolution of 1080p, the current HD standard. This amounts to over eight million pixels (3840 x 2160) on the 84-inch model currently selling for $20,000 in retail across the country. There are 55- and 65-inch models also coming to market as well. You know what they say about people in Glass houses?